Batman: Arkham Knight | Warner Bros. Entertainment Inc. Fans of "Batman: Arkham Knight" who are on either Linux or Mac shouldn't hold their breath for the game's release date on these platforms. Warner Bros. Interactive Entertainment has announced recently that the title will not be coming to both. On Thursday, Feb. 4, Warner Bros. announced the cancellation of "Batman: Arkham Knight's" Linux and Mac ports in a short and direct-to-the-point post over at Steam. "We are very sorry to confirm that Batman: Arkham Knight will no longer be coming to Mac and Linux," Warner Bros. said. "If you have pre-ordered Batman: Arkham Knight for Mac or Linux, please apply for a refund via Steam." Warner Bros. has not provided any reason for the cancellation, but those following the game believe it's highly likely due to the title's poor performance and issues on the PC. 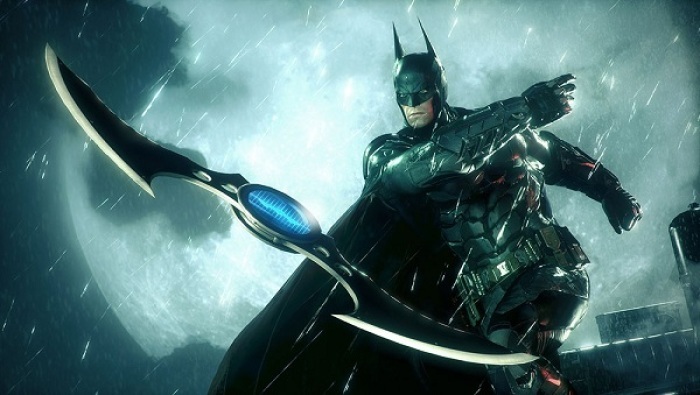 When "Batman: Arkham Knight" launched to Windows PC in June 2015, it was broken and in a terrible state, so much so that Warner Bros. had to pull it from the store weeks after its release and offered refunds to customers. This extended for a couple of months, ending only in October when the game was put back on sale. Since then it has received many updates, the latest of which rolled out last month. Despite this, the game is still considered "rough." Because of its history of poor performance on the Windows PC and the struggle to make it as polished as its console counterpart, those following the game then will find the latest announcement unsurprising. Still Mac and Linux gamers who have been waiting for the game aren't pleased with the decision, which is understandable. Developer Feral Interactive announced the "Batman: Arkham Knight" Mac and Linux ports more than a year ago as part of its then-upcoming SteamOS and OS-X titles, two of which, "GRID Autosport" and "Company of Heroes 2," have been successfully ported.